The General Practice Awards bring together the who’s who of the General Practice world. From GP teams to suppliers, the awards are designed to recognise the best in class. MPS has been no stranger to winning at the GP Awards and this year marks 4 wins out of the last 5 years! But this year’s award, in particular, makes us proud. 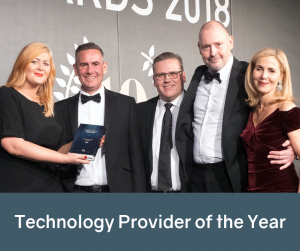 General Practice decided to change the categories this year to appeal to a broader range of entrants which worked; there were 18 entrants in our category, Technology Provider of the Year, from which we were shortlisted. New categories were not the only change this year. In the past entries have been based on a business case submitted by the entrants and then judged by a panel. This year entrants were required to ask their GP customers to log on to the GPA portal and vote for their supplier, if they felt the supplier would be a worthy winner.